Actively managed, the Fund maintains a highly concentrated, best ideas portfolio of Japanese companies. Based on risk-adjusted returns among 42 Japan Stock funds, as of 3/31/19. 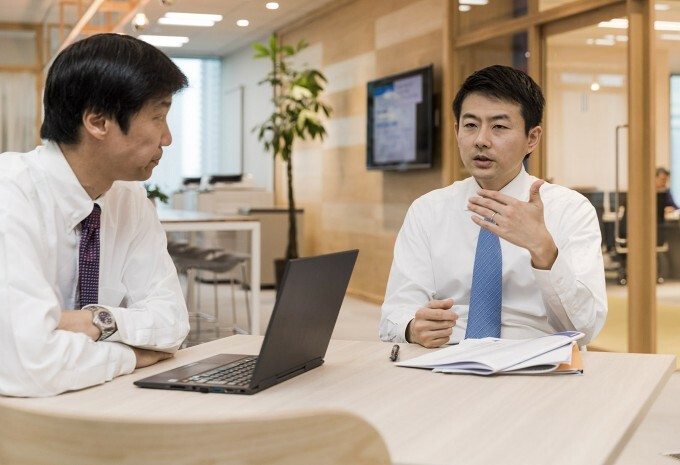 Portfolio Manager Masa Takeda discusses the Fund's investment strategy and the benefits of managing the portfolio with “feet on the street” in Japan. The portfolio is limited to the Managers’ best ideas, with a concentrated number of holdings. The Fund is sub-advised by Tokyo-based SPARX Asset Management Co., Ltd. Since its founding in 1989, SPARX has grown to become the largest independent asset manager in Japan. CMA designates Chartered Member of the Security Analysts Association of Japan. 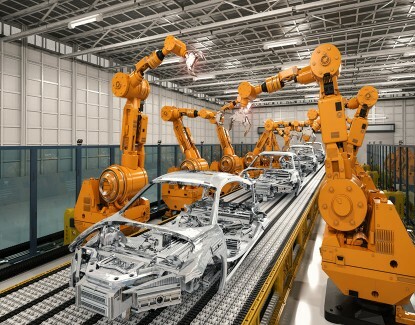 As factory automation systems appear in factories throughout the world, Japanese companies are slated to be major beneficiaries - both as producers and users of robotics. Tourism is a growing industry in Japan, and it has the potential to contribute meaningfully to economic growth over the next decade as the country deregulates the industry, opens casinos, and welcomes foreign visitors to the Olympic Games in 2020. 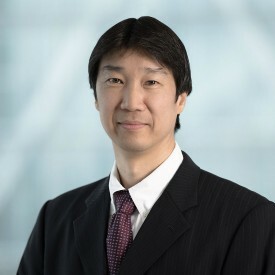 Portfolio Manager Masa Takeda provides his outlook for 2019 and shares his thoughts on recent market volatility, the impact of trade tariffs, the Bank of Japan’s monetary policy, and the case for active management. We believe Japan is on the path to economic revival. To reverse a long period of stagnant economic growth and deflation, Prime Minister Abe and his government initiated an ambitious economic revitalization plan centered on monetary and fiscal stimulus and structural reform, which has resulted in measurable progress. Morningstar Proprietary Ratings reflect risk-adjusted performance as of 3/31/19. The Morningstar Rating™ for funds, or "star rating", is calculated for managed products (including mutual funds, variable annuity and variable life subaccounts, exchange-traded funds, closed-end funds, and separate accounts) with at least a three-year history. Exchange-traded funds and open-ended mutual funds are considered a single population for comparative purposes. It is calculated based on a Morningstar Risk-Adjusted Return measure that accounts for variation in a managed product's monthly excess performance, placing more emphasis on downward variations and rewarding consistent performance. The top 10% of products in each product category receive 5 stars, the next 22.5% receive 4 stars, the next 35% receive 3 stars, the next 22.5% receive 2 stars, and the bottom 10% receive 1 star. The Overall Morningstar Rating™ for a managed product is derived from a weighted average of the performance figures associated with its three-, five-, and 10-year (if applicable) Morningstar Rating™ metrics. The weights are: 100% three-year rating for 36-59 months of total returns, 60% five-year rating/40% three-year rating for 60-119 months of total returns, and 50% 10-year rating/30% five-year rating/20% three-year rating for 120 or more months of total returns. While the 10-year overall star rating formula seems to give the most weight to the 10-year period, the most recent three-year period actually has the greatest impact because it is included in all three rating periods. 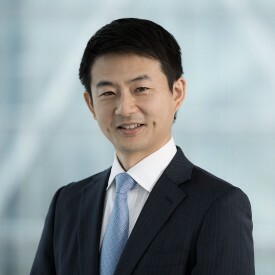 The fund received 5 stars for the three-year, 5 stars for the five-year and 5 stars for the ten-year periods ended 3/31/19 among 42, 27 and 14 Japan Stock Funds, respectively. Each share class is counted as a fraction of one fund within this scale and rated separately, which may cause slight variations in distribution percentage. The Russell/Nomura Total Market™ Index is a market capitalization-weighted index of Japanese equities. The Tokyo Stock Price Index (TOPIX) is a market capitalization-weighted index of all companies listed on the First Section of the Tokyo Stock Exchange. One cannot invest directly in an index. The returns of the Russell/Nomura Total Market™ and TOPIX indices are presented in U.S. Dollar terms. Please note that full portfolio holdings for the Japan Funds will be available 30 days after each calendar quarter end. The Hennessy Japan Fund pays capital gains (if any) once annually, usually in December. Ordinary income distributions (if any) are paid annually, usually in December.